Data collected and analysed by the Bureau of Meteorology show that 2013 was Australia’s warmest year on record while rainfall was slightly below average nationally. 2013 was Australia’s warmest year since records began in 1910. Mean temperatures across Australia have generally been well above average since September 2012. Long periods of warmer-than-average days have been common, with a distinct lack of cold weather. Nights have also been warmer than average, but less so than days. The Australian area-averaged mean temperature for 2013 was +1.20 °C above the 1961–1990 average. Maximum temperatures were +1.45 °C above average, and minimum temperatures +0.94 °C above average. Temperatures were above average across nearly all of Australia for maximum, mean and minimum temperatures, with large areas of inland and southern Australia experiencing the highest on record for each. Australia has experienced just one cooler-than-average year (2011) in the last decade. * Most of the above-average rainfall on the east coast was due to just one extreme event, cyclone Oswald in late January, as per Special Climate Statement 44 – extreme rainfall and flooding in coastal Queensland and New South Wales (pdf). 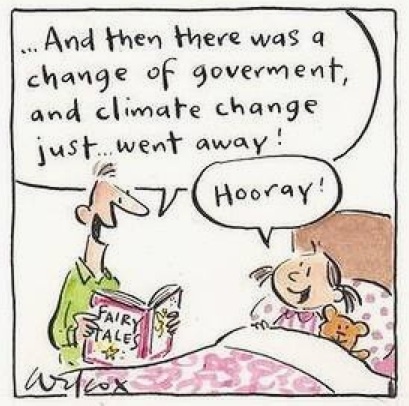 Queensland’s mean maximum temperature was highest on record in 2013. The year started with some exceptionally hot weather, with high temperature records broken. Locally, there was very heavy rain, especially in January, but it was generally a dry year west of the Great Dividing Range. Mt Isa and Tambo had their lowest annual rainfall on record. None of the above is necessarily due to global warming but it is all entirely consistent with global warming, and we can expect that weather like this will become normal as global warming progresses. Bearing in mind that this year represents, as the BoM says, temperatures [only] 1.2 C above the baseline and medium-term predictions are in the range of 2 – 6 C above the baseline, I think we should be more worried than most of us are; but I will deal with those issues on their own in another post as soon as I can find time. The really short version of the climate change story hasn’t changed much for the last ten years or more, of course: we know we are cooking the earth and things are going to get very uncomfortable, if not catstrophic, unless we stop pumping CO2 into the atmosphere. (NASA’s version is one of the simplest, clearest and most authoritative if you need to direct anyone to such a resource.) However, the scientific work continues to improve our knowledge every year. Two significant recent publications are discussed in not-too-technical terms in two highly regarded blogs, RealClimate and ThinkProgress. Should we trust the bloggers? These bloggers, yes. Stefan Rahmstorf, who discusses Marcott’s paper in Science, teaches physics of the oceans as a professor at Potsdam University, is a member of the Advisory Council on Global Change of the German government and is a lead author of the paleoclimate chapter of the 4th assessment report of the IPCC. Joe Romm, who discusses Hansen’s paper, worked at the highest levels of the US Department of Energy in the 1990s before moving into full-time environmental campaigning. (For more about them, see Wikipedia: Rahmstorf, Romm.) From here on, this summary uses their words, drastically condensed; follow the links at the end for the full versions. 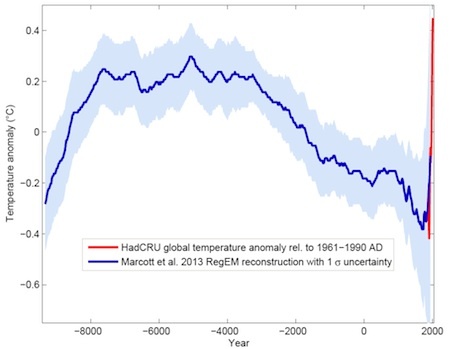 Recently a group of researchers from Harvard and Oregon State University has published the first global temperature reconstruction for the last 11,000 years – that’s the whole Holocene (Marcott et al. 2013). The results are striking. Over the last decades, numerous researchers have painstakingly collected, analyzed, dated, and calibrated many data series that allow us to reconstruct climate before the age of direct measurements. Such data come e.g. from sediment drilling in the deep sea, from corals, ice cores and other sources. Shaun Marcott and colleagues for the first time assembled 73 such data sets from around the world into a global temperature reconstruction for the Holocene [i.e. the 11,700 years since the last Ice Age]. Just looking at the known drivers [factors affecting climate change] and the actual temperature history shows it directly, without need for a climate model: without the increase in greenhouse gases caused by humans, the slow cooling trend would have continued. 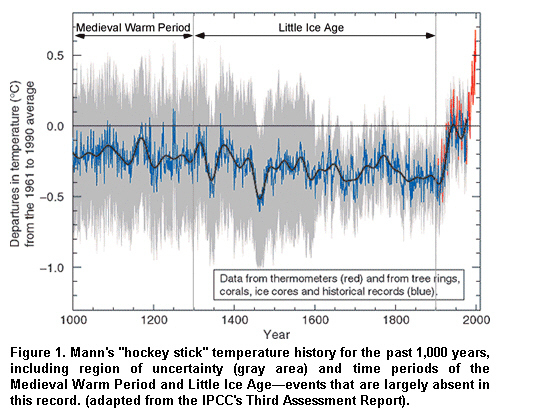 Thus virtually the entire warming of the 20th Century is due to man. This May, for the first time in at least a million years, the concentration of carbon dioxide in our atmosphere has exceeded the threshold of 400 ppm. 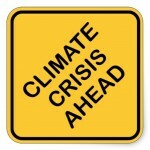 If we do not stop this trend very soon, we will not recognize our Earth by the end of this century. • The Earth’s actual sensitivity to a doubling of CO2 levels from preindustrial levels (to 550 ppm) — including slow feedbacks — is likely to be larger than 3–4°C (5.4-7.2°F). • Given that we are headed towards a tripling (820 ppm) or quadrupling (1100 ppm) of atmospheric CO2 levels, inaction is untenable. Burning all or even most fossil fuels would be a true scorched Earth policy. Most of the remaining fossil fuel carbon is in coal and unconventional oil and gas. Thus, it seems, humanity stands at a fork in the road. As conventional oil and gas are depleted, will we move to carbon-free energy and efficiency—or to unconventional fossil fuels and coal? If fossil fuels were made to pay their costs to society, costs of pollution and climate change, carbon-free alternatives might supplant fossil fuels over a period of decades. However, if governments force the public to bear the external costs and even subsidize fossil fuels, carbon emissions are likely to continue to grow, with deleterious consequences for young people and future generations. It seems implausible that humanity will not alter its energy course as consequences of burning all fossil fuels become clearer. Yet strong evidence about the dangers of human-made climate change have so far had little effect. Whether governments continue to be so foolhardy as to allow or encourage development of all fossil fuels may determine the fate of humanity. For a while now the climate scientists have been warning that global warming isn’t simply a matter of the weather getting a little warmer everywhere. Rather, the warming will vary from place to place and be accompanied by changes of weather patterns, especially rainfall. That is already happening. I have mentioned extreme weather events here before over the last year or so, and in fact the last few months have seen a cluster of extreme events which are causing great suffering across the Northern hemisphere. Floods in North Korea, China and Japan. Floods in Papua New Guinea. Floods in the UK over summer, even leading to concerns about whether the Olympics could proceed successfully. Drought in the USA. One of its smallest impacts, but one that shows the global reach of local events, is an increase in the price of chicken meat in Australia. All of these followed an unusually cold winter in Europe. We know that none of these can be ascribed to climate change with any certainty but there is a growing body of knowledge (e.g. IPCC, Climate Communication, Union of Concerned Scientists) which shows that we can confidently give the odds that a particular event would have happened without global warming, and the experts are quoting high odds against any of these happening under our old weather patterns. The combined odds against all of them happening by chance are infinitesimal. The silver lining to this litany of disaster is that ordinary people are beginning to see for themselves that weird things are happening to their weather and are more willing to acknowledge that climate change is indeed here already, that it is looking scarier every year, and that we really should try harder to avert it. Smile: In what seems like poetic environmental justice, a brown coal mine in Victoria’s Latrobe Valley has also been flooded after unusually heavy rain. In a new analysis of the past six decades of global temperatures, which will be published Monday, my colleagues and I have revealed a stunning increase in the frequency of extremely hot summers, with deeply troubling ramifications for not only our future but also for our present. This is not a climate model or a prediction but actual observations of weather events and temperatures that have happened. Our analysis shows that it is no longer enough to say that global warming will increase the likelihood of extreme weather and to repeat the caveat that no individual weather event can be directly linked to climate change. To the contrary, our analysis shows that, for the extreme hot weather of the recent past, there is virtually no explanation other than climate change. The rest of his Washington Post article is here and if you want the whole scientific paper you can get it – free – here.